John Norris Bahcall (December 30, 1934 – August 17, 2005) was an American astrophysicist, best known for his contributions to the solar neutrino problem, the development of the Hubble Space Telescope and for his leadership and development of the Institute for Advanced Study in Princeton. Bahcall was born into a Jewish family in Shreveport, Louisiana, and would later describe an early aspiration to become a Reform rabbi. He did not take science classes at high school. He was high school state tennis champion and a national debate champion. Bahcall began his university studies at Louisiana State University as a philosophy student on a tennis scholarship, where he considered pursuing the rabbinate. He transferred to the University of California, Berkeley, still studying philosophy. He took his first physics class as a graduation requirement. He was married to Princeton University astrophysics professor Neta Bahcall, whom he met as a graduate student at the Weizmann Institute in the 1960s. They had a daughter and two sons. He died in New York from a rare blood disorder. He graduated with an A.B. in Physics from Berkeley in 1956, obtained his M.S. in physics in 1957 from the University of Chicago and his Ph.D. in physics from Harvard in 1961. He became a research fellow in physics at Indiana University in 1960 and worked at the California Institute of Technology from 1962 to 1970, where he worked alongside Richard Feynman, Murray Gell-Mann, and William Fowler. He was appointed professor at the Institute for Advanced Study in Princeton in 1971. He became a member of the National Academy of Science in 1976. He was president of the American Astronomical Society from 1990–92, and was president-elect of the American Physical Society at the date of his death. 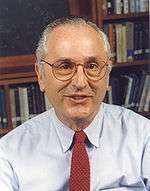 Bahcall is most notable and most renowned for his work in establishing the Standard Solar Model. He spent much of his life pursuing the solar neutrino problem with physical chemist Raymond Davis, Jr. Together, Davis and Bahcall collaborated on the Homestake Experiment, creating an underground detector for neutrinos in a South Dakota gold mine – essentially a very large tank filled with cleaning fluid. The flux of neutrinos found by the detector was 1/3 the amount theoretically predicted by Bahcall, a discrepancy that took over 30 years to resolve. The 2002 Nobel Prize in physics was awarded to Davis and Masatoshi Koshiba for their pioneering work in observing the neutrinos predicted from Bahcall's solar model, thereby vindicating Bahcall's prediction. Bahcall's other contribution of great significance to astrophysics was the development and implementation of the Hubble Telescope, in collaboration with Lyman Spitzer, Jr., from the 1970s through to the period after the telescope was launched in 1990. In 1992, he received NASA's Distinguished Public Service Medal for this work. He worked in many other areas. The standard model of a galaxy, with a massive black hole surrounded by stars, is known as the Bahcall-Wolf model. The Bahcall-Soneira model was for many years the standard model for the structure of the Milky Way. He also contributed to accurate astrophysical models of stellar interiors. Bahcall published over 600 scientific papers and five books in the field of astrophysics. ↑ Avrahami, Avner. "Family affair / The Bahcalls", Haaretz, June 11, 2003. Accessed February 21, 2013. "History: John Bahcall, who is from a Jewish family, was born in Shreveport, Louisiana, in 1934.... John began his higher education at Louisiana State University ('I thought of becoming a Reform rabbi'), then went on to Berkeley to study physics and in 1971 began to teach and do research at Princeton University.... However, they attend a synagogue (Conservative stream) for reasons that can be described as sentimental-social." ↑ "Book of Members, 1780-2010: Chapter B" (PDF). American Academy of Arts and Sciences. Retrieved 5 May 2011. ↑ "Comstock Prize in Physics". National Academy of Sciences. Retrieved 13 February 2011. ↑ "The Ghost Particle". Retrieved 2010-03-08. Haxton, W. (2009). "The Scientific Life of John Bahcall". Annual Review of Nuclear and Particle Science. 59: 1–0. arXiv:0904.2865 . Bibcode:2009ARNPS..59....1H. doi:10.1146/annurev.nucl.010909.083722. Pinsonneault, M. (2008). "The Legacy of John Bahcall". ASP Conference Series. 384: 3. Bibcode:2008ASPC..384....3P. Retrieved 1 October 2013.